Parts for MD-EN90 and other brand 9HP small engines. Aftermarket Honda Parts. 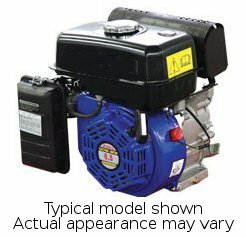 We have hard to find parts for import model 9 HP OHV engine. Some of these parts will also work as Aftermarket Replacement parts for Honda 9 HP models. These are great low-cost source of aftermarket small engine parts. Different versions of these import engines exist. These parts will fit the engines we sell. We can not guarantee that they'll fit engines from other sources.